The garage doors, which are attached to homes, are usual targets of potential intruders. 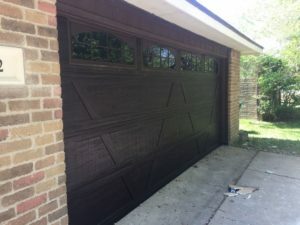 It goes without saying that the older and more damaged the garage door, the more vulnerable it becomes and thus easier to break-in. But thieves have come up with plenty of ideas of how to gain access to a garage and then inside the house even if the door is robust. And so when you are considering taking measures to improve home security, start at the garage. This is the place often neglected when it comes to security and still the number one breaking point. So, here’s a list of the best tips for enhanced garage door security. You’d be amazed by the number of people who forget their overhead garage door open or keep it open while doing chores elsewhere around the house. That’s simply an invitation to burglars. Make it a habit not only to close the door but make sure it is closed all the way. If you forget to close it, get an advanced garage door opener with a timer and set it to close once you drive off. It’s inconvenient to have a locked garage door when you come and go several times a day. But you can secure garage doors at night or when you go away for hours or days. Today, there are many deadbolts, multi-point locking systems, or even padlocks. You can also install a sliding bar lock at the garage door tracks to keep the rollers from moving up. But let’s be the devil’s advocate here and assume that a burglar has managed to get in your garage. The secret is to keep them from going inside the house. This can happen by using robust high security locks for the door leading to your home and investing in durable doors. And try not to leave valuable items in the garage. Most garage door windows are made of clear glass and thus give potential burglars a clear view of the interior. To prevent that, you need to use covers or blinds or simply frost them. It’s best to keep the garage door opener remote with you. If you leave it in the car, there is a risk that someone will break in to get it and thus get easy access to your house. So, forget about remote controls which attach on the visor and prefer keychain clickers. Okay, you made it a habit to close the sectional garage door. But are you sure it has closed all the way? A simple opener problem can reverse the door up – hence, the reason for making sure it has closed completely. But then again, the garage door might not be well-balanced or the bottom seal might be worn. In such cases, the small gap under the door might enable the burglar to push the door up. Regularly check that there is no gap; otherwise, do the necessary garage door repairs. Some burglars find a gap at the top of the garage door to insert a hanger and disconnect the emergency release cord and thus open the door manually. To avoid such security concerns, place a shield to hide the cord, block the windows so that the intruders won’t see inside, or check out the latest tamper-proof opener which includes both a shield and a blocking plate that keep intruders from disengaging the release rope. Buy a garage door sensor to monitor security. These devices send a message to your phone when there is movement in the garage or the garage door opens. 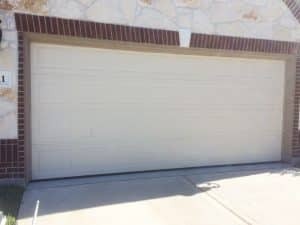 Discourage thieves by adding more lights around the garage door, connecting the door to the home’s security system, and installing motion detectors. It’s often necessary to take all the above steps to have peace of mind that nobody will surprise you by breaking into your home from the garage door.